From the Dairy to Liquid Waste to Chemicals to Regulations to Oil & Gas to the Truck Drivers to the Fleets that work the industry, and so much more. No matter what your hauling as long as its liquid and dry-bulk or in a tank we cover it and sometimes, even if it isn’t. 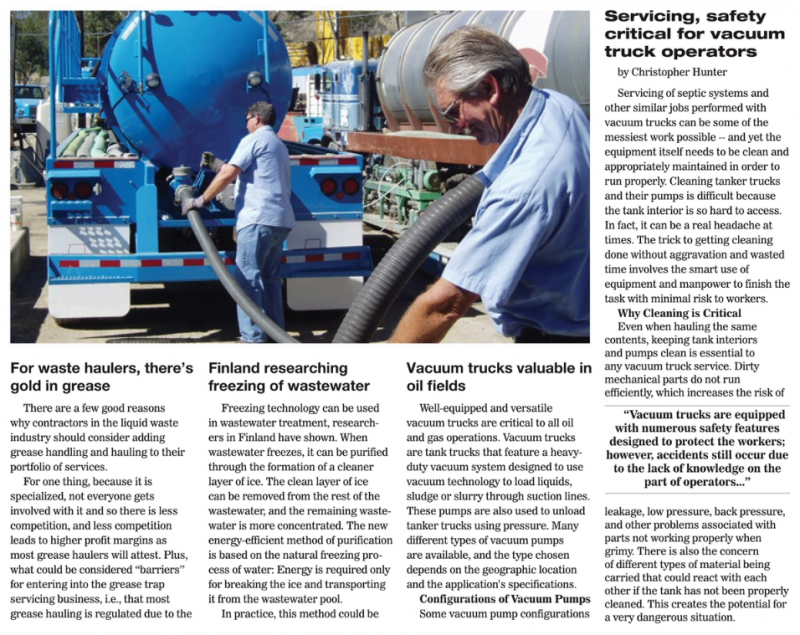 Tank Transport Trader covers the latest industry news to bring it to you. We believe good news can help you navigate the chaotic seas called the liquid and dry-bulk industry. With a monthly distribution over 20,000 subscribers. No other publication offers a more direct route to the liquid and dry bulk transportation marketplace than Tank Transport Trader. Published monthly, we are assured of reaching new markets unattainable with other publications. Our readership also includes tank repair facilities, tank cleaning facilities, tank container depots, bulk truck transfer facilities, bulk storage facilities, and waste storage sites as well as manufacturers and vendors of liquid and dry bulk equipment and construction and oilfield equipment. 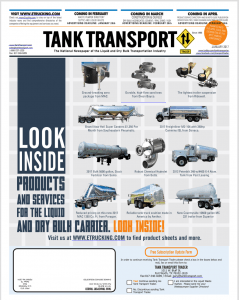 By advertising on our website at TankTransport.com and in our monthly print publication you will expand your marketing reach to the ever expanding universe of internet users who are constantly searching for new suppliers to fill their equipment and service needs. Advertise in our annual Product/Service Directory and Buyer’s Guide and your message will have a long term shelf life. Reaching those buyers who want to have your contact information within arms length when they need your services. We publish a digital version of both Tank Transport Trader and the Product/ Service Directory and Buyer’s Guide. Both emailed directly to our growing opt-in digital subscriber base. We offer a wide range of advertising sizes to enable even the smallest of advertisers. To reach their specific marketing targets on an affordable budget.